I am a big fan of software engineering, mathematics, physics, automation, chemistry, psychology, medicine, business management, sport! But currently, I've have time to practice good only software engineering, business management and sport! 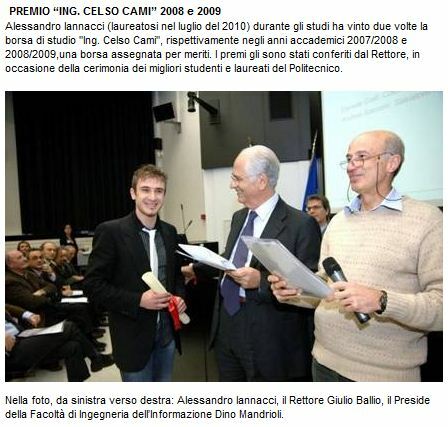 I graduated with honors in 07/2010 at Politecnico di Milano, with an average rating of 29.55 on 30 exams and 12 awards. I started programming on C64 when I was 5 years old. I know almost all programming languages, technologies and techniques to apply them to business. I have over 15 years of experience in IT: I started work as a Network Administrator and Harware Technician, becoming a Junior apps/web Developer, Senior web Developer, Mobile apps Developer and finally, I'm working with the amazing team of Sergio Ferrari in Techedge SpA as a SAP NetWeaver Consultant. I have a passion for motorcycles, relationships, and fitness. I want to look big and strong but very gentle and clever: a reference point for software engineering and science in all of they aspects, and also, a reference point from the human point of view, for people who love me. These are my goals!